Marijuana addiction, and much more. An addicted person gets physically dependent on the substance he is addicted to. It might have started off with a small amount of intake, but slowly, as that amount could not give that high or satisfaction, so they also increase the amount of intake. Their behavior changes tremendously after they get addicted to something. From what they were before and what they are now, you will notice the increase in the unhealthy habits like sleeping too much, being lazy and zoned out, skipping school or work, and being moody, rude and frustrated all the time. Their relationships tend to fall apart, whether with their respective boyfriend/ girlfriend, spouse, children or with their parents. They run away from whom so ever tries to stop them from indulging into this dark life. Once a person gets aware of the problems created by addiction, the guilt and shame start pouring in. Shame plays a negative role if a person wants to quit the addiction, as the addict gets full of negative emotion and again tends to indulge in the addiction to zone out of the reality. Guilt, on the other hand, influences the addict in such a way that if he focuses on it, there is a scope that he might want to improve and get rid of this wrong habit. 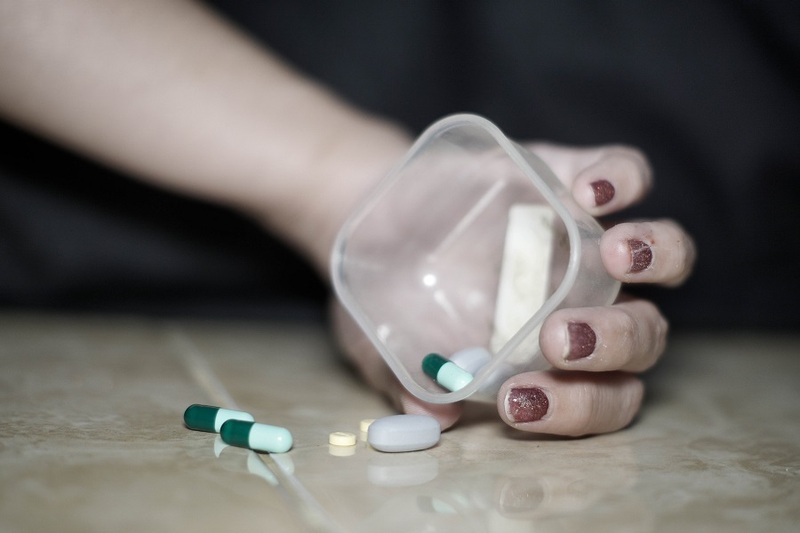 The process of leaving or not consuming the substance that one is addicted to, with proper guidance and medication, and with the purpose of wanting to get out of the addiction is known as withdrawal. If your problem is recent and you are not into extreme drugs, for example, say you are an alcohol addict, there is a possibility that you can try out some techniques in which you can withdraw the addiction yourself if you are determined enough. You can refer this article to know the secret of how to slowly pull yourself away from alcohol addiction. But if this problem has been going on for too much time, then it is better to seek professional help and guidance and not take any risks as withdrawal can have many adverse effects on the addicts. It can also pose a threat to your life, as you are too weak at that time to handle yourself and the situation. You feel depressed all the time. You tend to experience loss of appetite, regular mood swings and feel isolated even if you are surrounded by family and friends. You struggle to get a good sleep. Insomnia is usually one of the first signs of withdrawal. There also comes a time when you face panic attacks. You feel restless and experience anxiety throughout the day. You may also experience poor memory and can feel lazy to work or study. You might experience a lot of sweating while trying to quit drugs or alcohol. Vomiting, feeling nausea are very common symptoms of withdrawal. Your stomach can also get very upset and can cause problems like stomach aches or diarrhea. You may have to go through a lot of headaches as well. Some people feel breathlessness and chest heaviness in the process of withdrawal. Apart from these common symptoms, there are some problems which can be very scary and hard to get through. There may be a chance of you getting severe heart problems, facing the problem of hallucinations, strokes, and even seizures. Along with medications and detoxification of your body, you should also make efforts to improve your routine and adopt some healthy habits like eating healthy food, concentrating on your studies or finding a job, stick to your addiction group, and be around positive people who encourage you to stay stronger and motivated.